So it’s been a while since I’ve posted here! The last couple months have been very busy, work and artwork wise. I recently revamped my shop to include a lot of my recent printmaking I’ve been focusing more on printmaking, including a few new prints and variants. 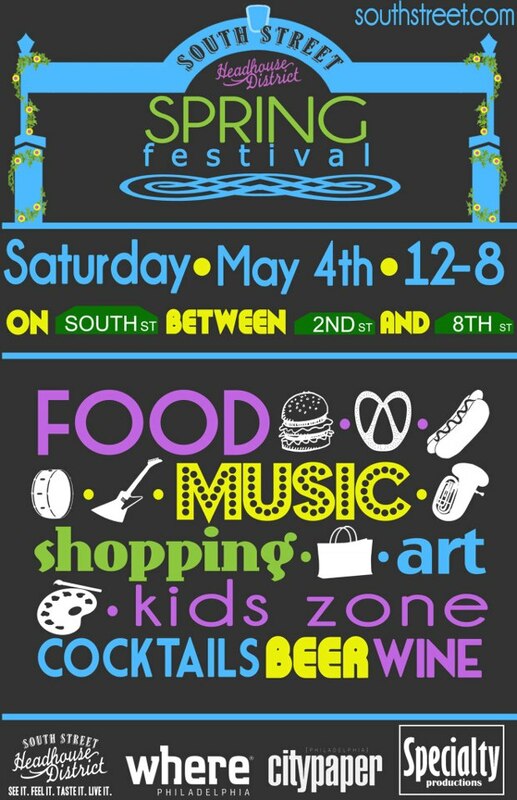 I created these for my 5th year at the Tattooed Mom’s tent for the South Street Spring Festival in early May. I had fun with these, creating several variations, including a 3D version that comes with cardboard 3D glasses! I have a few of these left, which are available in my shop. It was an honor to be asked to join the TMom’s tent during the South Street Spring Festival for the 5th year in the row! 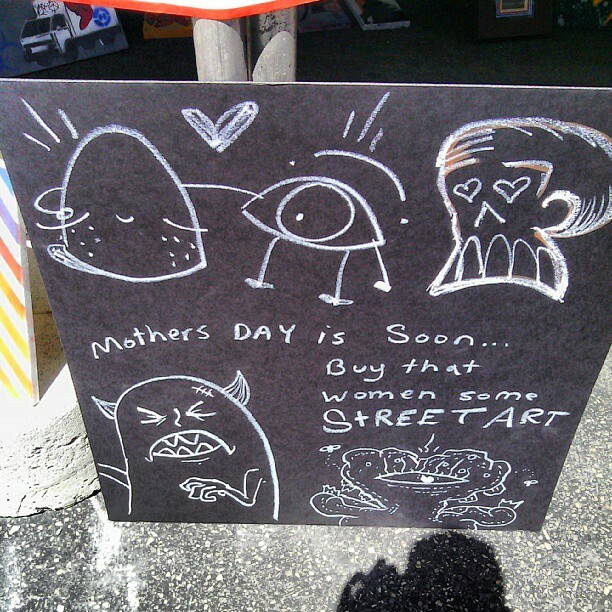 I was able to join a couple other amazing Philly artists to sell artwork and represent the spirit of Tattooed Mom’s. 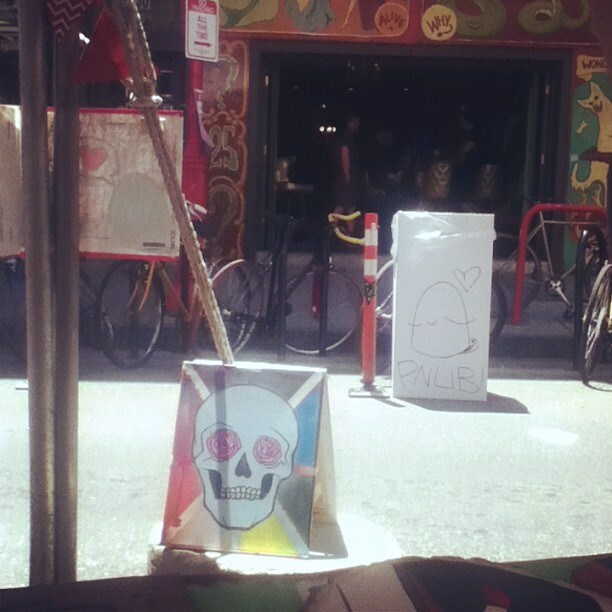 The owner is a a big supporter of Philly Street art ( just go upstairs! 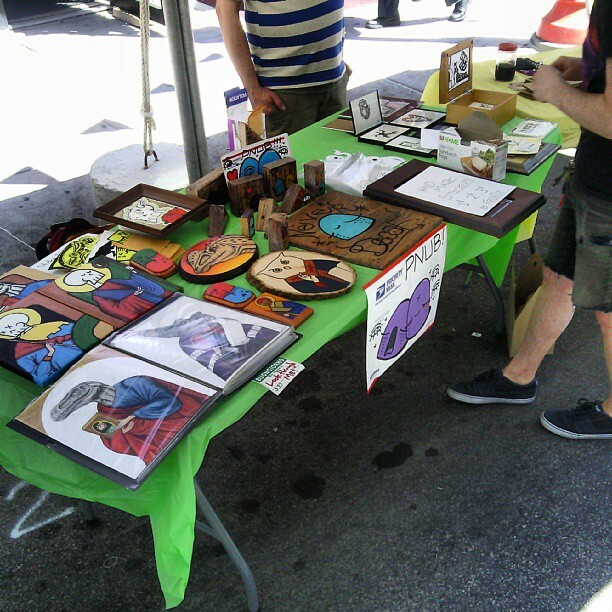 ), and rather than just sell some swag in their tent, he’d rather have artists sell their art! Thanks, Tmom’s! I recently update my shop to include all my printmaking work. Since I’ve started doing my Phish inspired art, my main shop has been filled with that. I created another site for my other artwork, www.joseeen215.etsy.com. I must admit it was often neglected, but I’m working to prevent that! I’ve added new work, and may add new as well as some older work. Of course there’ll be plenty of a Phish art for the near future. With summer tour approaching, I’ll be making some posters for some of the concerts, with the Baker’s Dozen Run (13 show at Madison Square Garden during July/August) poster almost done. I will also be vending at 2 of the PhanArt Shows at the Hotel Penn, right across the street from MSG. With so many shows in NYC and no vending allowed outside the venue, this will be the chance to grab some Phish art from myself and a bunch of other awesome Phan artists! I’ll be posting all about my posters for summer tour as well as more in my other site: http://www.phishart.net. I’ll b repost onto this site, but will be sure not to overwhelm the non-phans! Tonight is the opening of Characters Welcome 5 at Tattooed Mom‘s in Philly! The show, which features sticker art from around the world, starts at 7pm (21+), with an all ages show Saturday 1-5pm. Plenty of my stickers will be in the show, and as in previous years, the boards of stickers are available for sale and 100% of the profits benefit youth art programs. I was lucky enough to have been asked again to help set up for the show, which involves hours of peeling stickers from my favorite artists and sticking them on boards (with the occasional poutine break). This year, the sizes of the boards vary (12×12 to 2ftx4ft), so you’ll be able to find a board that fits your wall space. A few of the stickers I made for the show. The best part of this show is that it brings in street artists from all over the place (Philly and beyond) for a night where the stickers flow freely. I’ll be giving stickers out to anyone who wants one, as well as some new block prints! See you there! 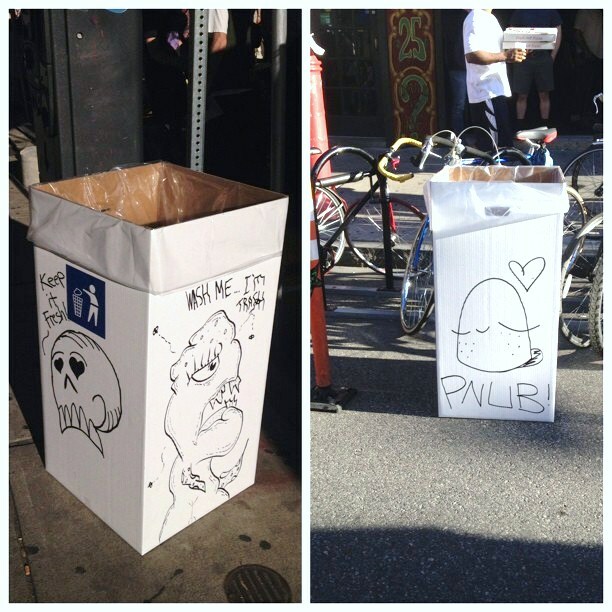 We noticed the words “street art” tend to get people’s attention. Doing collabs is a great way to get people to watch over your shoulder. Our view for about 8 hours. We couldn’t help but take refuge inside Tattooed Mom’s from time to time. I really appreciate these guys coming together at the last minute and represent Tmoms and Philly…some great artists in this city. 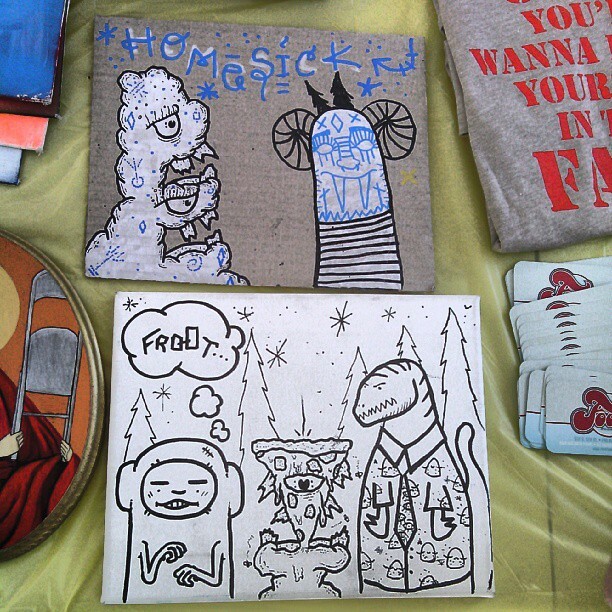 Find Froot, Pnub, and R2F on instagram, most of their stuff is for sale. 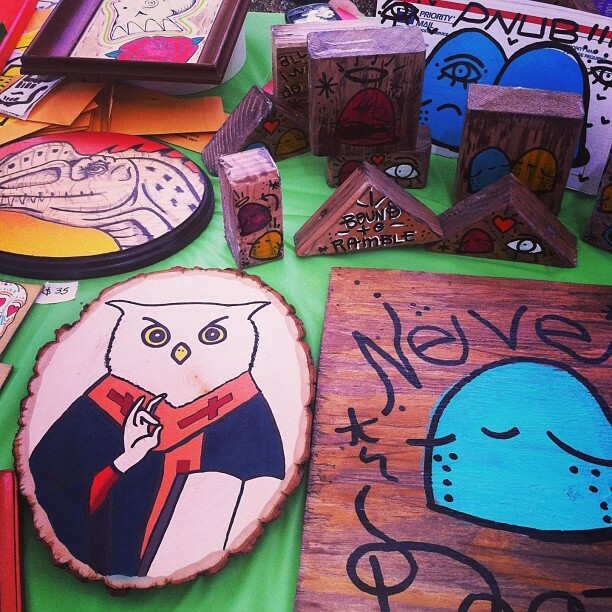 You can also usually find us on First Fridays in Old City Philadelphia! Next Saturday! 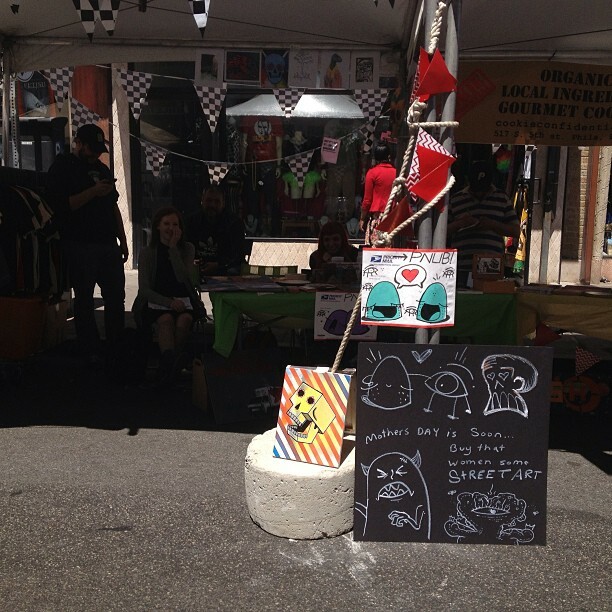 Tattooed Mom’s was gracious enough to let a couple of Philly artists and myself sell artwork at their booth at the South Street Spring festival. 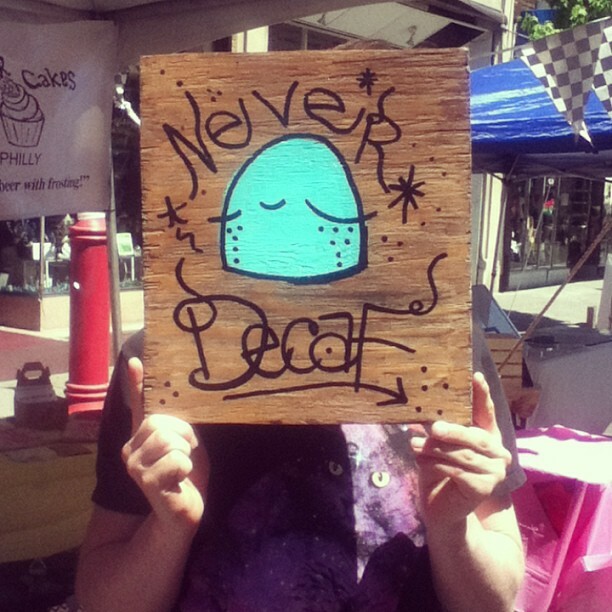 We will have a rotating line up of artists all day including Sloth, Froot, Yerp, R2F!, P Nub and UWP (Possibly more!) Free stickers for kids and adults, and don’t forget to bring your black book!